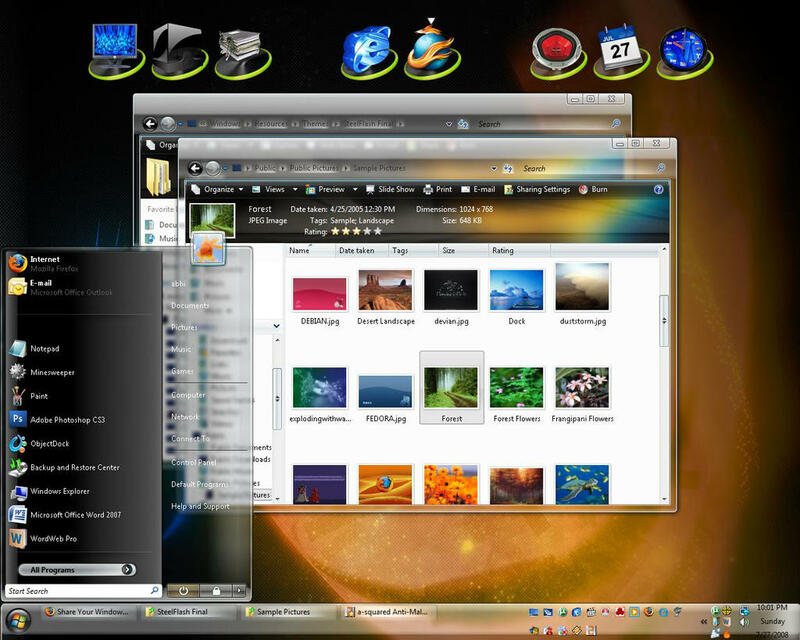 Share Your Windows Vista Desktop Here. Thread: Share Your Windows Vista Desktop Here. Let us see what your desktop looks like. Do you use the Sidebar or maybe RocketDock ? Whis is your favorite wallpaper? Prefer the default Vista theme... or are you partial to some other ? Share and lets see what you got! Posting the links from where the themes/ walls can be got, would help others. Please try to keep the images less that 400 pxl. Here's is mine, to begin with. 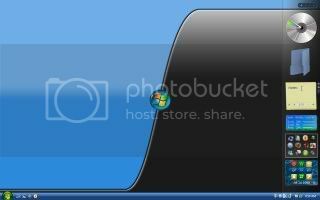 Royale Blue Theme For Windows Vista. Last edited by phoenix_abhi; 6th August 2008 at 16:17. This thread has been converted into a Contest. For details, please click HERE. The Vista desktop images however, have to be posted here itself. Josh of WindowsConnected has agreed to be the Judge for this Contest. He will pick up the Best Vista Desktop and convey his decision to me by mail. How can I place thumbnail or screen shot here, Sorry I not found the guide. To take a screen-shot -> press print screen -> start Paint -> press ctrl+v -> save the image as jpeg (File -> Save as). Go to imageshack.us -> upload the image, then on the next page copy the thumbnail code for forum and paste it here. Done. Last edited by iMav; 5th August 2008 at 17:38. Super Mario Wallpaper, Objectdock, launchy, Google sidebar and several gadgets. Dual 19" widescreen monitors. Last edited by phoenix_abhi; 6th August 2008 at 16:14.